Academies Minister Lord Agnew today urged schools in England to work together to achieve more than they can on their own. 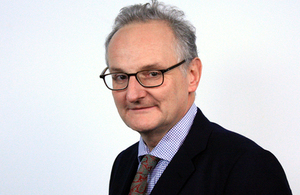 In a speech to teachers, school business managers and senior leaders at the Schools and Academies Show in Birmingham, Lord Agnew underlined the importance of hard-working teachers in delivering rising standards in schools across the country and set out his ambition for schools to collaborate through multi-academy trusts. Drawing on the improvements delivered in schools since 2010 – with 163,000 more six-year-olds now on track to be fluent readers than in 2012, a reformed curriculum and qualifications, and a shrinking attainment gap – Lord Agnew underlined his belief that the freedom academies enjoy allows teachers to make the right decisions for pupils and their communities. "We know that when good people are given the power to make their own decisions that’s when things happen. They drive improvements based on what they know works. "While our diverse education system allows for different types of school to thrive, depending on the needs of the communities they serve, we believe that academy status leads to a more dynamic and responsive education system. "This allows schools to make decisions based on local need and the interests of their pupils. It allows high performing schools to consolidate success and spread that excellence across their local area. "Converting to become an academy is a positive choice made by hundreds of schools every year to give great leaders the freedom to focus on what is best for pupils – and as of March 2018 over half a million children are studying in sponsored primary and secondary academies that are now rated good or outstanding. These typically replaced underperforming schools. "Our ambition is ultimately for every school that wants to, to benefit from the autonomy and freedom to innovate that academy status offers and for schools to collaborate through strong MATs." • Of the almost 1,400 multi-academy trusts, three quarters (76%) have between 1 to 5 schools, working together to share best practice. National Schools Commissioner Dominic Herrington will also address attendees at the conference. The speeches follow the recent publication of accounts covering around 7,000 academies – to allow the public and Parliament to scrutinise the accounts of any academy school – which demonstrated that 97% of academy trusts submitted financial returns to the Department for Education on time, and underscored the Government’s commitment to taking action against those not following the rules. This follows the announcement to deliver even more transparency over academy finances, with academy accounts having to detail all staff earning over £100,000, declare contracts given to family or friends, and seek approval for all related-party transactions over £20,000 from next April. The Department for Education has also today published a report on the impact of the Regional Academy Growth Fund, highlighting the lasting impact of the £31 million investment to help academy schools grow sustainably. The report shows that the fund helped academy trusts to take on and improve more schools, strengthen leadership, free up teachers to focus their energies in the classroom, and co-ordinate back office tasks across several schools.